Alfred's Greatest Hits series has overwhelmingly been accepted by students and teachers. 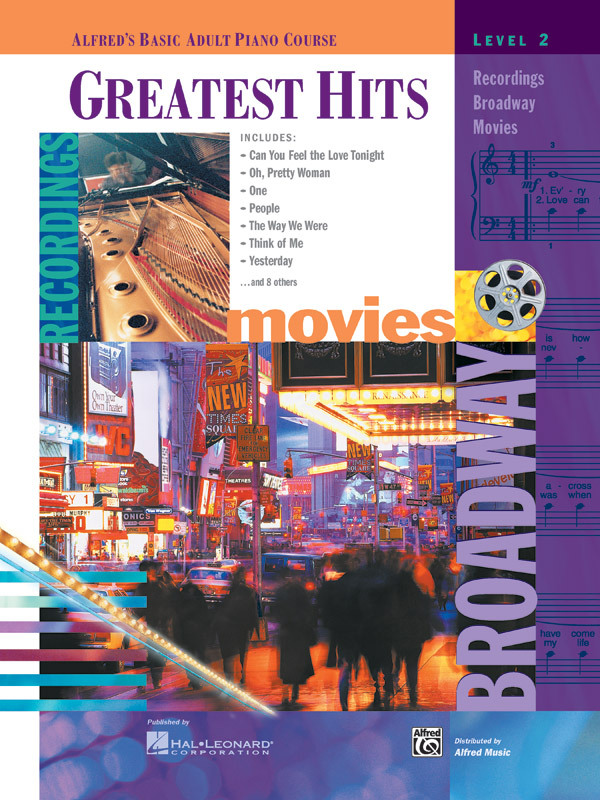 This series combines just the right combination of hits from Broadway, Hollywood, television and recordings! As you might expect from Alfred, this series offers a rare combination of great music arranged with care and creativity. Adult students can savor the excitement of playing pop music and reap the benefits from making practicing more fun and rewarding.